Bill Oberst, Jr. is virtually a horror icon. His unsettling screen presence has haunted dozens of horror films and his role in “Take This Lollipop”--the most popular (and frightening) application in Facebook history has made him an international phenomenon. 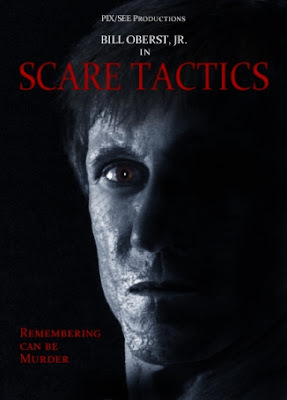 In SCARE TACTICS, Bill plays horror film writer Grafton Torn for whom hypnotherapy and nightmares reveal memories that might or might not be real…and that might or might not be deadly. Blair and Oberst are betting it will be fun. Bloody good fun. Check out the official website and Facebook page or follow them on Twitter @ScareTactics1.